If you need to ask the price....... - Salut! I did need to ask. So naturally, I couldn't afford it. You cannot live in the UAE and not at least consider a visit to the Burj Al Arab Hotel, Dubai's grandiose answer to the Eiffel Tower and all other man-made monsters of construction the world over. They don't mess about with false modesty. 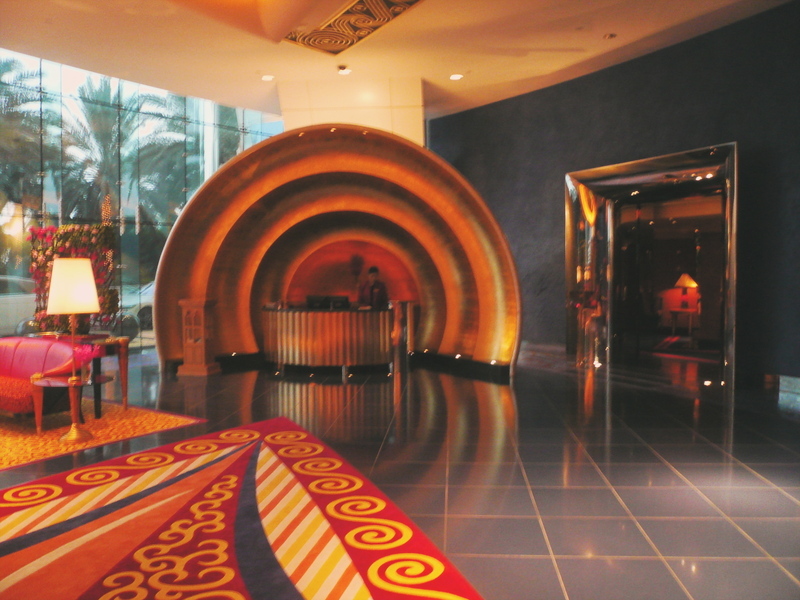 A brochure readily available on request at reception is titled The World's Most Luxurious Hotel. It stands 321 metres tall on the shores of Jumeirah beach and resembles both the sails of an Arabian dhow, as intended, and a whale that has decided to stand on it tail. A night in the cheapest room costs 8,500 dirhams, that is well over £1,000 even before 20 per cent worth of taxes and service charges are added on. The top rate, for the Royal Suite sets you back Dh55,000 (more than £7,000 once you've added the extras). Breakfast, please note, is not included, though I suspect that with 780 square metres of space, you might be able to sublet to a few dozen others to offset the cost. 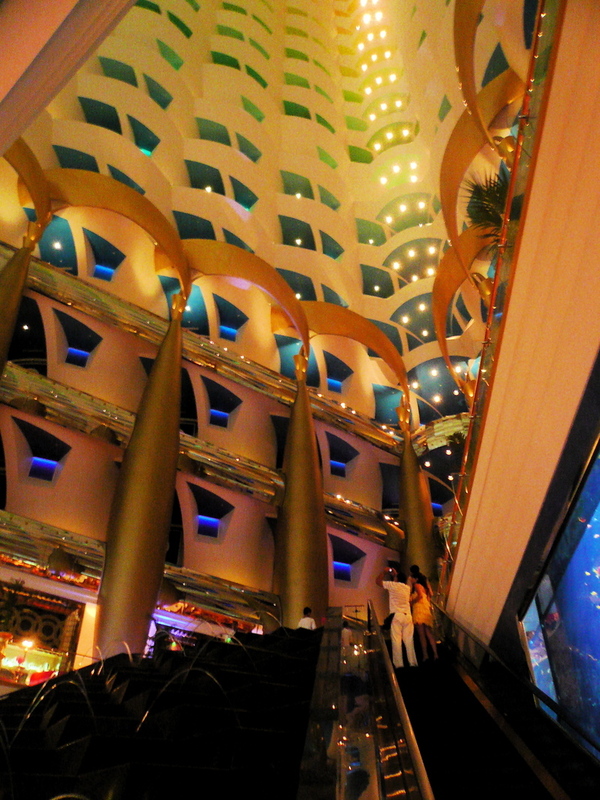 The Burj Al Arab is the only hotel I have ever visited that actually costs money to enter, since you have to book - even for pre-dinner drinks, or afternoon tea - and there is a minimum spend. No point in just turning up at the well-guarded gate and hoping to blag your way in, even if I am prepared to believe others have had more success than me at that. Once inside, it is all surprisingly friendly and unsurprisingly slick. 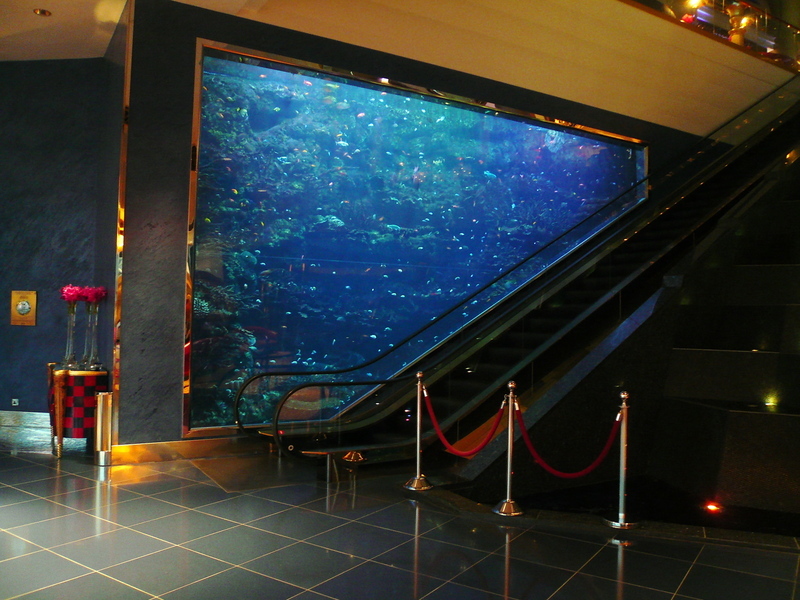 The giant fish tank, ridiculously over-the-top glitter of the decor and lashings of wall-to-wall splendour make for an eye-opening visit. We asked if it was possible to take a peek at the hotel pool before we left, but were politely told: "Only if you are resident at the hotel. Sorry, but we must preserve our guests' privacy." The waiter to whom the question had been posed helpfully suggested visiting the ground-floor Al Mahara restaurant, from which we could apparently get a glimpse. "Sorry sir," said the waiter there. "But guests are dining, We must protect their privacy." 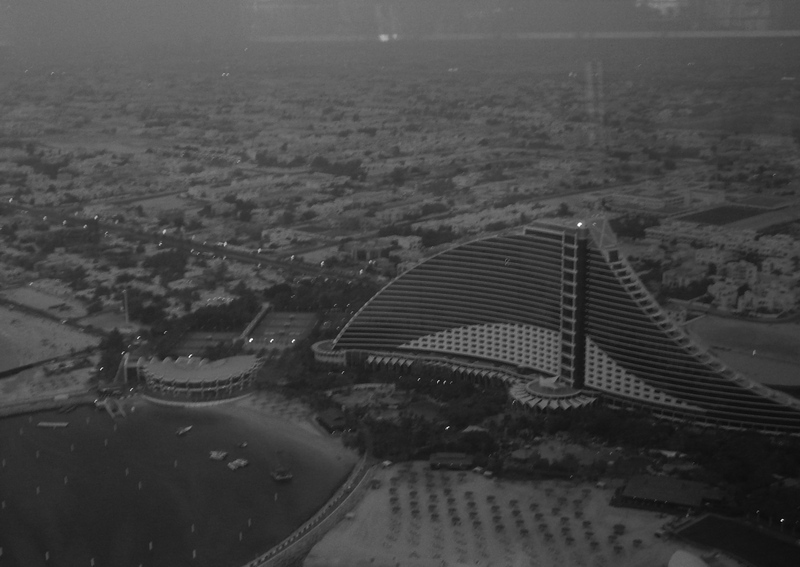 In the 27th floor Skyview bar, from which we had spectacular views of Jumeirah until it suddenly became quite dark, we'd promised to spend Dh550 between us. That was the easy part. In fact, we could have spent even more. The "world's most expensive cocktail", based on a 55-year-old Macallan single malt whisky, would have required a visit to a mortgage broker. It costs Dh27,321 - not far short of £4,000 - but you have to hurry; it comes in a limited edition of 10, and seven have already been sold. The bonus is that you get to take the 18 carat gold glass home with you, and it comes in a leather case. You may reasonably conclude that I am not scratching my head where to put mine. I do not drink whisky.